A Digital Video Recorder (DVR) is a consumer electronic device with digital storage and DVRs are used to record videos digitally that get stored in the storage device in DVRs. Cloud DVRs enable the user to records television shows and programs on a cloud server and then makes the recorded content accessible to the user on any other end-user device. Unlike tradition DVRs, which have the drawback of limited storage and simultaneous recording limit, cloud DVRs offer the user more storage to record more content and allow the user to record television shows at same time as they air. Another main difference between tradition DVRs and cloud DVRs is the absence of tradition physical device. The digital recording capability of a cloud DVR is integrated into the local network or cloud services offered by a service provider. The main components of cloud DVRs include policy manager, scheduler, record manager, network-based DVRs (nDVR) manager, and other E2E components. The component consisting a video data plane in cloud DVRs processes and delivers the content to be stored with the help of a control plane in cloud DVRs that manages the work flow of video content stored by the device. Cloud DVRs are an integral part and modern form of nDVRs and are gaining more and more popularity among end-users and service providers. 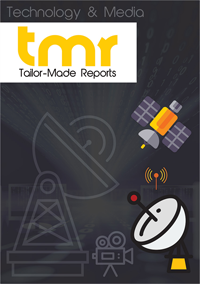 Leading companies active in the cloud DVR market include Ericsson, ARRIS, Harmonic, Huawei, Cisco, AWS Elemental, pay-TV, and Nokia, and vMVPD operators include AT&T, Liberty Global, Comcast, DISH Network, and Hulu. Ericsson Media Solutions, a Swedish multinational telecommunications company, recently announced that it has extended its long-term partnership with Telefónica, S.A., a Spanish telecommunications company, to deliver advanced TV everywhere services across is operating business in the Latin American region. Ericsson also declared its aims to capitalize on increasing developments across leading countries in the Latin American region, such as Chile, Brazil, Argentina, Peru, and Colombia, through 2020. Hulu, an American entertainment company, recently announced its expansive distribution agreement with Discovery Inc., which is mainly aimed at extending high quality real life entertainment brands portfolio of Discovery to live and on-demand TV subscription streaming services offered by Hulu. With this agreement, Discovery announced to bring five new channels to Hulu’s live television pack, and the channels include Discovery Channel, Animal Planet TLC, the rebranded Velocity network, Motor Trend, and Investigation Discovery. Cisco Systems, Inc., an American multinational technology conglomerate, recently announced that it is unifying software-defined wide area network (SD-WAN) and security technologies to enable its customer organizations to adopt its cloud services with a faster speed and the very best of networking and security. Dish Network Corporation, a leading American television provider, recently announced that DISH Media – the inventory of both DISH and Sling TV – will join Comscore Campaign Ratings beta along with media companies, which also includes Discovery Inc. The company announced that this will be the first multichannel video programming distributor (MVPD) to join the cross-platform video ad measurement solution provided by Camscore. The company aims to incorporate insights procured from Comscore Campaign Ratings and to enable its clients and advertisers to make strategic business decisions. Cloud DVR market is growing at a rapid pace with growing awareness about its convenience and cost-efficiency among video subscribers. However, cloud DVR is creating its place among not only end-users or subscribers, but telecom service providers are also turning to cloud DVR to avail its benefits. One of the major advantages of cloud DVR to service providers is that it slashed their set top box (STB) prices to a great extent. This way, cloud DVR technologies are enabling service providers to plummet their capital expenses on STBs by deploying less expensive dumber boxes or deploying existing digital STBs in home. With a mounting number of service providers turning to the cloud DVR market to capitalize on the profitable opportunities, the cloud DVR market is likely to get highly competitive in the upcoming years. While the cloud DVR market continues to witness exponential growth, leading players in the cloud DVR market have consolidated their positions in the market with a huge share in the market growth. Furthermore, leading players in the cloud DVR market are adopting inorganic growth strategy by acquiring local vendors and small- and medium-scale service providers in the cloud DVR market. Thereby, this creates major competitive challenges for new entrants in the cloud DVR market. Another factor to boost popularity of cloud DVR as well as the growth of the cloud DVR market is its unique features such as time shifting and the feature that enables viewers to skip ads. The time shifting feature of cloud DVR technologies enables end-users to watch and record videos at the same time. Furthermore, ad-skipping feature is another factor that is fetching viewership to cloud DVR services, triggering growth of the cloud DVR market. Recently, Google announced that it has lifted the ad-skipping restriction on most of the 60 channels, excluding The CW CBS Sports Network, and CBS, on YouTube TV. Thereby, as the viewer fast-forward through advertisements during their favorite television show, this feature is expected to trigger revenues in the cloud DVR market in the upcoming years.